- What is The Freedom Rock®? The Freedom Rock is a large (Approx. 12ft. tall / 60-90 ton) boulder in southwest Iowa. It sits in the countryside along Highway 25 in Adair County, closest to the small town of Menlo, Iowa. Although it sits on private property, in the 70’s, 80’s and 90’s it was graffitied from time to time. However, in 1999, Ray Sorensen painted a simple “Thank You” to veterans on the boulder. Ray continued to honor veterans with new murals on this boulder every May for Memorial Day. It is now an annual tourist attraction to see what Ray has created to honor our service men and women. - When did Ray start The Freedom Rock®? - I’ve heard Ray referred to as “Bubba”, what’s that about? - Is Bubba paid to paint The Freedom Rock®? Bubba is not paid to paint The Freedom Rock, rather it is his donation/ annual “Thank You” to our service men and women. - How long does it take to paint the original Freedom Rock® each May? Approximately 3 weeks time...varied from year to year depending on weather. - What is the Tour (The Freedom Rock® Tour)? The Tour was an idea Bubba had to expand the message of The Freedom Rock® and his mural painting business, as well as, promoting Iowa tourism. The tour aims to put an original Freedom Rock, hand/brush painted by Ray, in every county in Iowa (there are 99). - Is Bubba paid for the tour? Yes. Mural painting was already a part of his business before, but with the addition of the tour, mural painting is now his full-time job. Again, The original Freedom Rock in Adair County is done free of charge every year in honor of our Veterans. - How long does it take to paint each Freedom Rock® on the tour? Bubba blocks off about two weeks but each Freedom Rock® on tour takes approximately one week to complete. - How long will it take to complete all 99 counties? At the rate of approximately 10 to 12 Freedom Rocks completed per year I estimated it would take about 8 to 10 years to complete the entire state...So, hoping to finish on or before 2023. - Will Bubba re-paint the Tour Freedom Rocks, each year or ever? - Is my county signed up? and how do we become a part of The Freedom Rock® Tour? 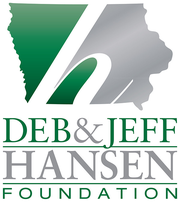 Click on the "Freedom Rock Tour" button at the top of the page to view the map and download the info on booking your county. - We see individual Veterans on the Freedom Rock/s, what's their significance? When Bubba started the tour he didn't want to do another typical, PC, Veterans memorial. You know, the list all five branches making sure not to single anyone out, memorials you see. Instead he wanted to illustrate specific Veterans and their stories, knowing full well that he would never be able to illustrate all of them, but not wanting to sacrifice the uniqueness at the expense of leaving some Veterans out. The Veterans on each rock are usually, in some way, tied to that county. Hopefully making it an interesting "Easter egg hunt" of history lessons as you travel the state. - I don't see my branch - service era - gender - race - etc. displayed on our rock, why not? As stated in the above answer, this project is not your ordinary run of the mill memorial. Like the original, I wanted to focus more on what I was inspired to paint at each location rather than forcing myself to paint every branch and era. This allows for more creativity and uniqueness. So some rocks may be mostly Army or Navy.. leaving out the Marines or vice versa. My hope is that every branch and era will have representation somewhere across the tour. Again, Im not shooting for equal representation but rather a uniqueness that will hopefully inspire tourism as no two rocks are alike in shape or content. P.S. The American flag to me represents not only all Veterans but all Americans... so in the artist's eyes we are all represented on each Freedom Rock. 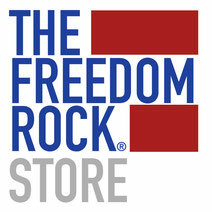 - Can I sell/resell Freedom Rock merchandise? Possibly. First, you need to contact us with your intentions and fill out a licensing contract for our approval. If you do not have this agreement with us then you are in direct violation of our federal trademark. - Can I paint a Freedom Rock or hire anyone else to do so? No. Bubba is the only artist of a "Freedom Rock" and owns the trademark.